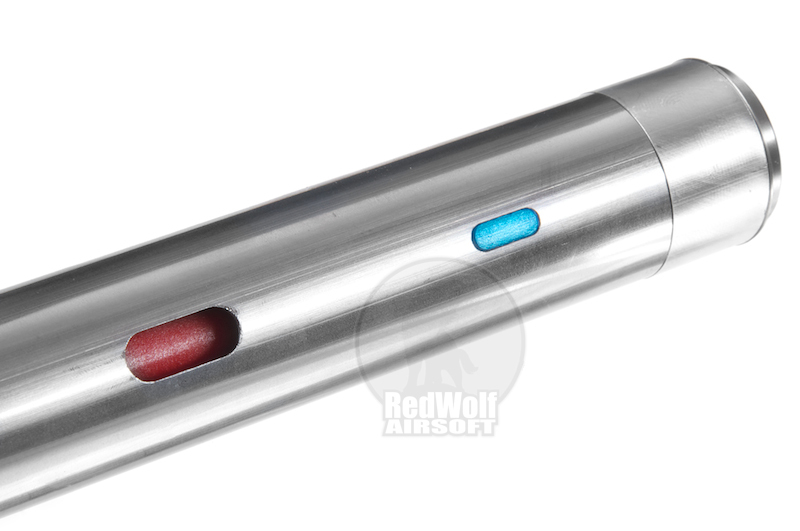 The new PTW EVOLUTION cylinder casing is now made completely from one piece of SUS304 stainless steel (84g) rather than the aluminum casing (48g) on previous revisions of the PTW. 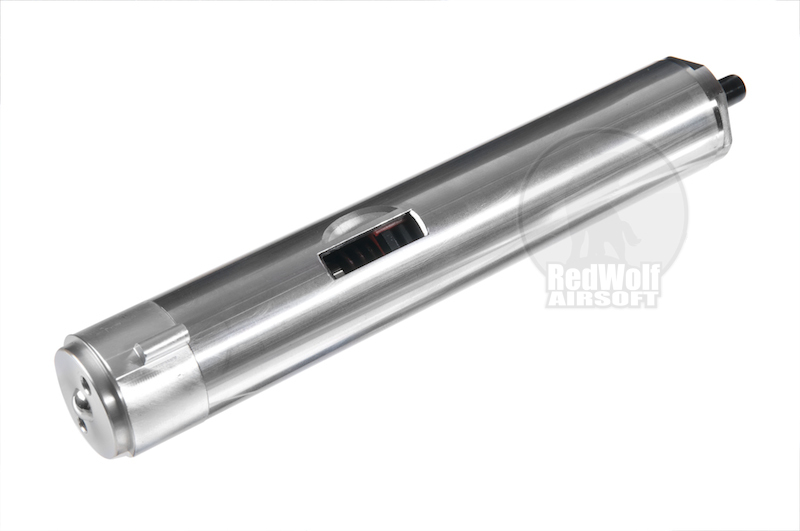 The stainless steel cylinder casing is much stronger, thus resistant to deformation caused by minor drops, and dents caused if a stray BB is caught between the cylinder casing and magazine while reloading. 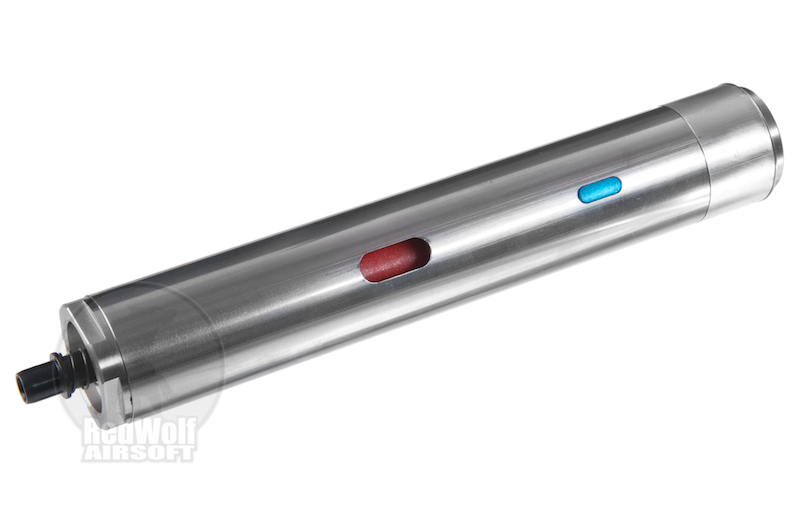 Systema Retains the power level color coding of cylinders via a colorized metal inlay plate on the top of the cylinder. 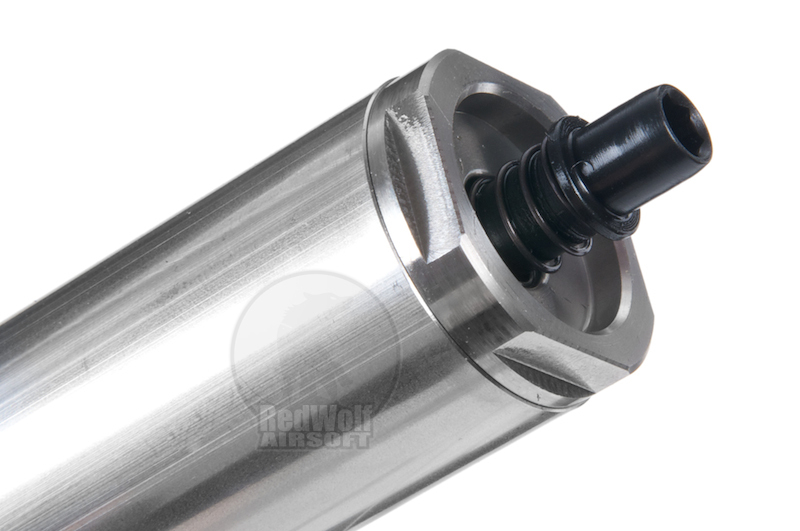 The stainless steel cylinders of the latest PTW EVOLUTION contains the same internal parts as the previous version of the PTW, which means complete compatibility with existing PTW piston, cylinder head, springs, spring guide and all other parts. The already perfected ease of maintenance of the PTW cylinder is preserved in the latest EVOLUTION model.